A large keeeebab will follow en route to Part 2 at HALL ROAD for the flood. Do you have a date in mind. Send me Ã‚Â£50 and I get you one. A bit daft not going to be much of a meet and alot of people off wsf dont have pol saf permits . FishingFreakJack wrote: A bit daft not going to be much of a meet and alot of people off wsf dont have pol saf permits . No permits required (take note Jack).....for the low water session we will not be crossing any gullies though it will be a little muddy where we`re fishing so don`t wear your best sandals...wellies will do as it`s only ankle deep. At Hall Rd you will need waders if you want to start early as you can get a couple of casts in before having to come back across one gulley...other than that you can get away with an old pair of trainers as you`ll only be fishing from the beach for a short while before getting pushed up on to the prom. At Seaforth the main channel is well within reach so distance casting is not required...at Hall Rd the bigger casters will have an advantage early on but once on the prom a moderate lob will put you in the gulley we had to come back across...the bigger casters will be able to hit a second gulley further out which gives you more options. I don`t get round to fishing the beach by the radar tower very often,but have always caught there codling and whiting should show up particularly on the first of the flood. 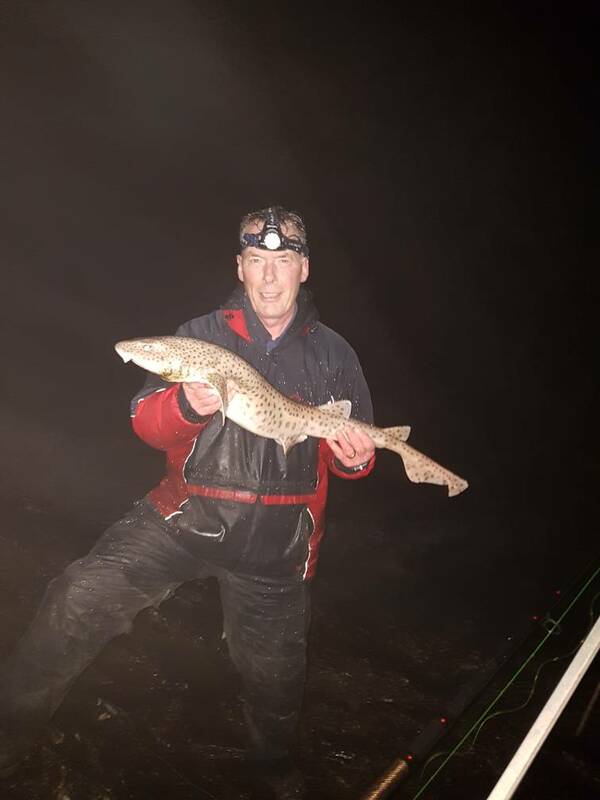 As for Hall Rd i`ve also done pretty well for codling there and if you look at last years reports i fished it a few times in Nov and Dec and though the codling were only small,there was a lot of good size whiting coming out. Anyone from my neck of the woods going?